As part of a regular series powered by Microsoft, BetaKit interviews prominent Canadian CTOs speaking earnestly on the biggest challenges they face in their role, as well as future technology predictions in their space. Lendified CEO Monique Morden and VP engineering Joe Finneran know that building a startup requires wearing many hats, but the one element that the growing FinTech startup can’t skimp on is technological scalability and security. However, getting to scale is about more than in-house technology and ‘hiring the best talent’. Lendified takes a unique approach, focused on partnerships and investing in retention over recruitment. Morden added that her experience as a serial entrepreneur gave her the “battle scars” to prove out the hypothesis that high-quality technology partnerships allow a company to “keep [multiple] plates spinning” while also ensuring secure and scalable technology. In Finneran’s mind, the most crucial part of scalable technology infrastructure from a mature partner is that ability to build on top of it, making growth easier. For Morden, coming from a sales background as a founder, scalable tech infrastructure means the ability to focus on what the market needs instead of rebuilding technology at every level of growth. Having a mature technology partner, though, is not a ‘get out of jail free’ card letting startups ignore the daily concerns of team and culture. For both Finneran and Morden, retention through team culture is a top priority. 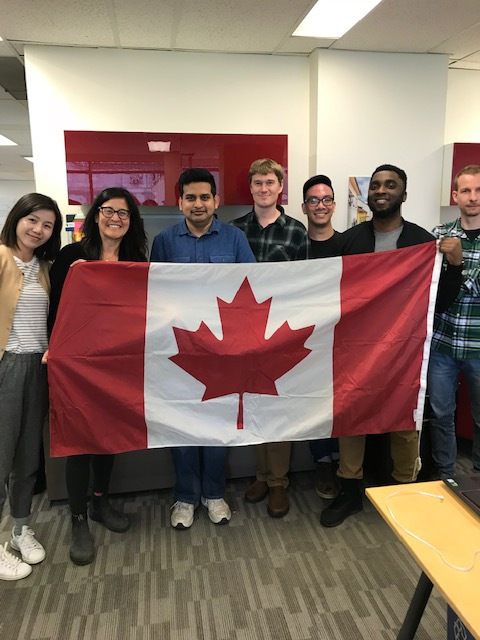 Lendified operates in two high-competition talent markets—Toronto and Vancouver—while trying to build a global business loan platform. A mission that ambitious needs not only great talent, but for that great talent to stick around. This lesson, having been learned the hard way from past experiences, led Finneran and Morden to firmly believe that a happy team is one that’s both more productive and retainable. For Morden, the way to keep retention high is through a culture that respects work-life boundaries. Given Lendified’s focus on culture without compromising quality, it’s understandable that both Morden and Finneran caution tech leaders at big firms to verify if they really are up for the challenge before they join a startup. Execution, though, is not the only thing a would-be CTO should prepare for before joining a startup. Ultimately, said Morden, startups are about building for the long term despite all the short-term pressures. BetaKit’s CTO Series is brought to you by Microsoft. From idea to IPO, we’re here to help startups at every stage of their journey. Let’s get to work. Together.